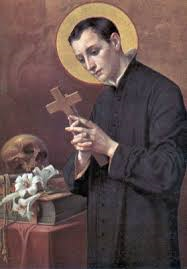 St Aloysius was the eldest son of a Mantuan nobleman, and was intended by his father to be a soldier. Aloysius, on the other hand, had determined to be a missionary, and even to die for his faith. He renounced his birthright in favour of his brother and at the age of 16 became a Jesuit novice in Rome, living the same life of severe austerity and penance that he had followed even when serving in the courts of dukes and princes. In 1591 an epidemic of plague broke out in Rome, and the Jesuits opened a hospital to care for the sick. Aloysius, still a novice, worked hard in the hospital until he himself caught the plague. He did not recover; but, his determination to die for the faith having been fulfilled, died at midnight on the 20th of June with the name of Jesus on his lips. He was born in Beverley, in Yorkshire, in 1469. He studied theology at the University of Cambridge, and had a successful career there, finally becoming chancellor of the University and bishop of Rochester: unusually for the time, he paid a great deal of attention to the welfare of his diocese. He wrote much against the errors and corruption into which the Church had fallen, and was a friend and supporter of great humanists such as Erasmus of Rotterdam; but he was greatly opposed to Lutheranism, both in its doctrine and in its ideas of reform. He supported the validity of King Henry VIII’s marriage to Catherine of Aragon, and for this he was briefly imprisoned. When the King had divorced Catherine, married Anne Boleyn, and constituted himself the supreme Head of the Church in England, John Fisher refused to assent. He was imprisoned in the Tower of London on a charge of treason, and on 22 June 1535, a month after having been made a Cardinal by the Pope, he was executed. He was so ill and weak that he had to be carried in a chair to the place of execution. He was the only bishop to oppose Henry VIII’s actions, on the grounds that they were a repudiation of papal authority, but even so he avoided direct confrontation with the other bishops, not holding himself up as a hero or boasting of his coming martyrdom: I condemn no other man’s conscience: their conscience may save them, and mine must save me. We should remember, in all the controversies in which we engage, to treat our opponents as if they were acting in good faith, even if they seem to us to be acting out of spite or self-interest. He was born in London, the son of a judge, and himself became an eminent lawyer. He married twice, and had four children. He was a humanist and a reformer, and his book, Utopia, depicting a society regulated by the natural virtues, is still read today. 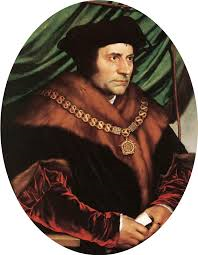 Thomas More was a close friend of King Henry VIII. As a judge, he was famous for his incorruptibility and impartiality, and he was made Lord Chancellor – the highest legal position in England – in 1529. When Henry VIII demanded a divorce from Catherine of Aragon, Thomas More opposed him. He resigned the chancellorship in 1532 and retired from public life; but he could not retire from his reputation, and so it was demanded that he take an oath to support the Act of Succession, which effectively repudiated papal religious authority. He refused, and was imprisoned in the Tower of London. 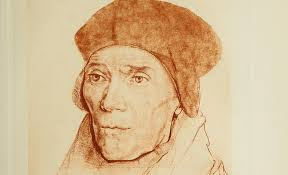 After the execution of John Fisher, he was tried on the charge of high treason for denying the King’s supreme headship of the Church, found guilty, and sentenced to death. He went to his execution, on 6 July 1535, with a clear conscience and a light heart; he told the spectators that he was still “the king’s good servant – but God’s first,” and carefully adjusted his beard before he was beheaded. Apart from Mary and Joseph, John the Baptist is the only saint in the calendar who has two feasts to himself. One, in August, celebrates his death, and one, in June, celebrates his birth. And this is as it should be, for as Christ himself said, John was the greatest of the sons of men. The greatest, but also the most tragic. 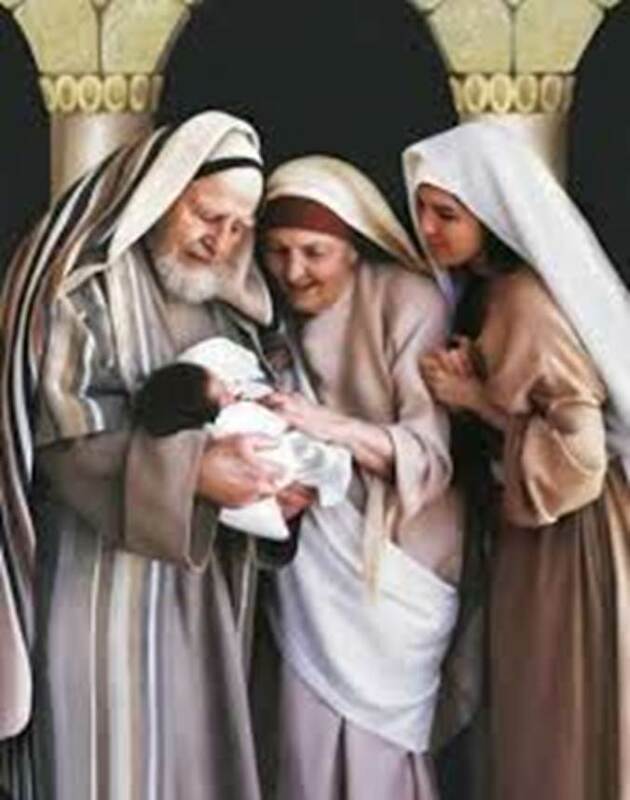 A prophet from before his birth, leaping in the womb to announce the coming of the incarnate God, his task was to proclaim the fulfilment of all prophecies – and thus his own obsolescence. And he did it: with unequalled courage he spread the news that he, the greatest of all men, was the least in the kingdom of heaven. His disciples, and the devil, would have preferred him to fight, to build his sect, to defeat this upstart whom he himself had baptized, to seize his place in history. But he did not – and so, rightly, he has his place, and he has glory in heaven. We envy the great and the talented, and sometimes we think that they themselves are beyond envy. But when they come across someone with greater gifts, as one day most of them will, they will see for the first time what it means to feel like us. Let us pray that they, like John the Baptist, may pass that test. Alexandria was the largest city in the ancient world. Rather like Los Angeles, it was a sprawling mixture of races and creeds; and it was a byword for the violence of its sectarian politics, whether of Greeks against Jews or of orthodox Christians against heretics. Cyril began his career as a worthy follower of this tradition. 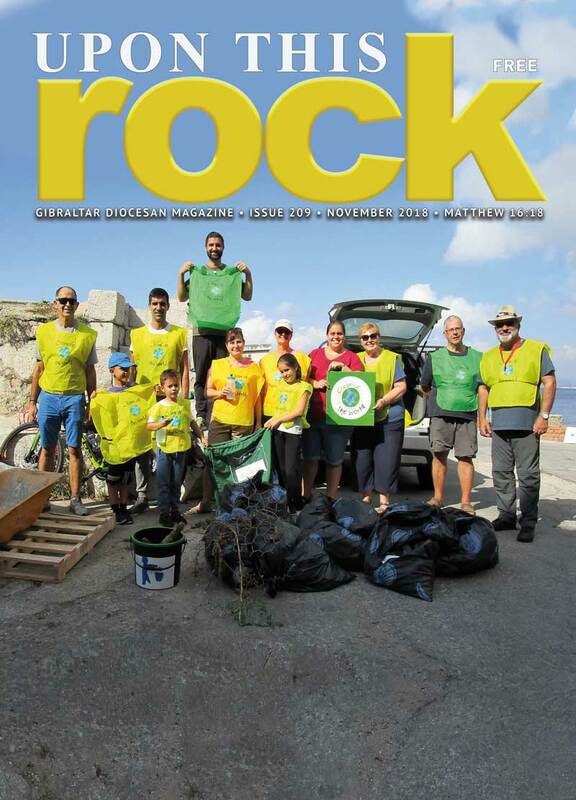 He succeeded his uncle as bishop of Alexandria in 412, and promptly solved a number of outstanding problems by closing the churches of the Novatian heretics and expelling the Jews from the city. This caused trouble and led to an ongoing quarrel with the Imperial governor of the city and to murderous riots. 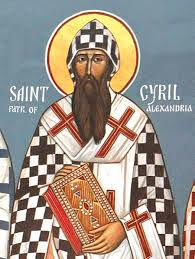 It is not for this part of his life that St Cyril is celebrated. 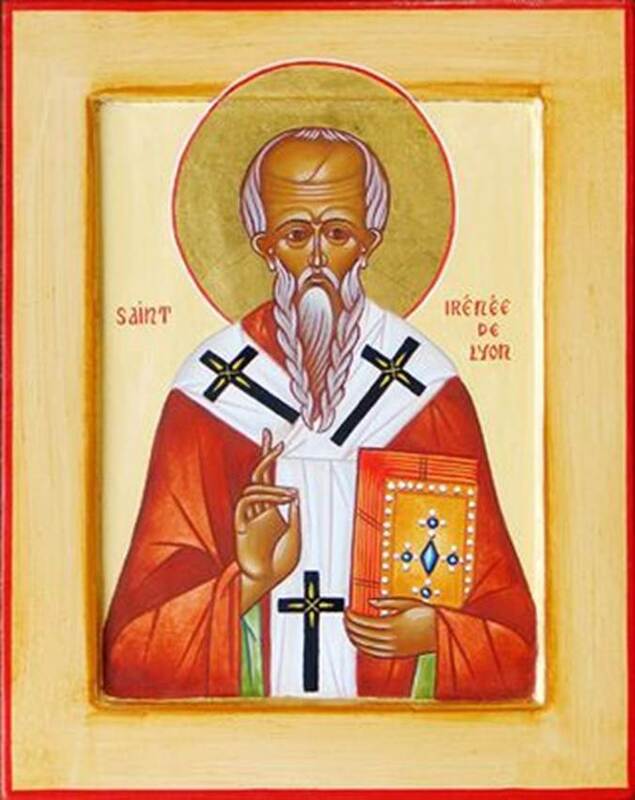 Whenever we take up a Bible we touch Irenaeus’s work, for he played a decisive role in fixing the canon of the New Testament. It is easy for us, now, to think of Scripture – and the New Testament in particular – as the basis of the Church, and harder to remember that it was the Church that had to decide, early on, what was scriptural and what was not. Before Irenaeus, there was vague general agreement on what scripture was, but a system based on this kind of common consent was too weak. As people meditated on the intolerable event of the Redemption, dissensions and heresies inevitably arose, and reference to scripture was the obvious way of trying to settle what the truth really was. But in the absence of an agreed canon of scripture it was all too easy to attack one’s opponent’s arguments by saying that his texts were corrupt or unscriptural; and easy, too, to do a little fine-tuning of texts on one’s own behalf. So Irenaeus went through all the books of the New Testament, and all the candidates (such as the magical pseudo-Gospels, and the entertaining and uplifting novel the Shepherd of Hermas). He did not simply accept or reject each book, because his enemies could have said that he was doing it to bolster his own arguments: he gave reasons for and against the canonicity of each book. Irenaeus’s canon of scripture is very nearly the modern one (he does not quote from three of the short universal epistles), but more important is the fact that he started the tradition of biblical scholarship. Irenaeus had to fight against the Gnostics, who believed that the world was irredeemably wicked, and against the Valentinians, who claimed to be possessors of a secret tradition that had never been written down but passed from master to disciple through the ages. This pessimism and this arcane élitism remain with us even today, and each generation must renew the fight against them. Let us pray for the inspiration of St Irenaeus in our battle. St Peter (died 64 A.D.). And Jesus answered him, ‘Blessed are you, Simon son of Jonah! For flesh and blood has not revealed this to you, but my Father in heaven. The men who were traveling with him stood speechless, hearing the voice but seeing no one. Saul arose from the ground; and when his eyes were opened, he could see nothing; so they led him by the hand and brought him into Damascus. And for three days he was without sight, and neither ate nor drank’. After his dramatic conversion, he became a tireless missionary who through his writings, gave shape to the Church’s doctrine in an unparalleled way. Of the 27 books in the New Testament, 13 are attributed to Paul (7 were actually dictated by him), and approximately half of another, Acts of the Apostles, deals with Paul’s life and works. Thus, about half of the New Testament stems from Paul and the people whom he influenced. 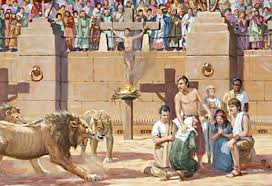 When the city of Rome had been devastated by fire in the year 64, the Emperor Nero launched a persecution against the Christians, who were thrown to the wild beasts in the arena or soaked in tar and used as living torches. Their deaths are documented in the writings of the Roman historian Tacitus and in Pope St Clement’s letter to the Corinthians. 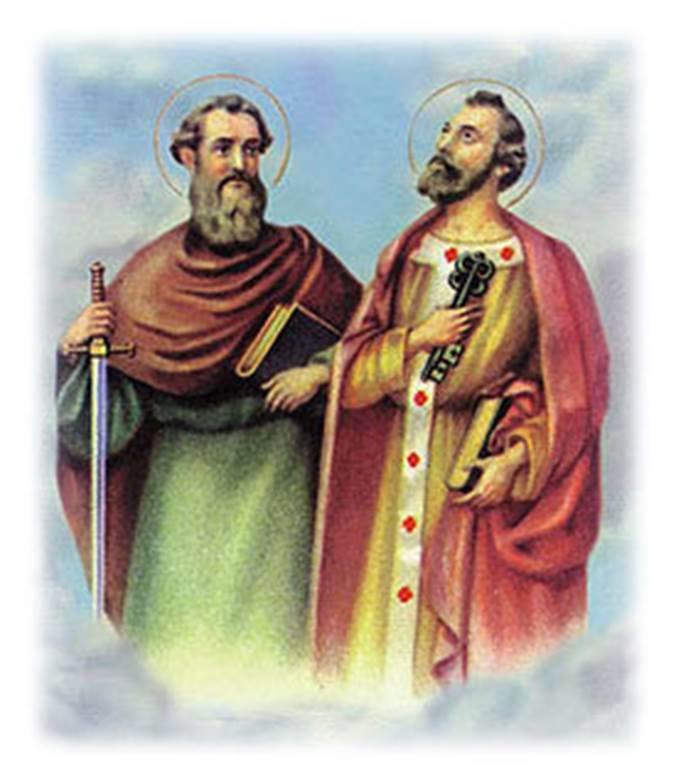 Their feast was celebrated the day after the feast of Saints Peter and Paul.